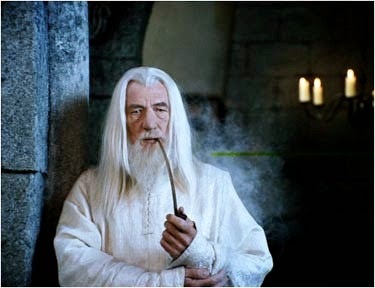 To this Gandalf responds, “Unless the king should come again? Well, my lord Steward, it is your task to keep some kingdom still against that event, which few now look to see. In that task you shall have all the aid that you are pleased to ask for. I suppose that it’s not completely unimaginable that I sometimes find inspiration in Gandalf's insight. I love this image: it is our job, the job of men, to rule, but it is our ultimate destiny to submit our rulership to the True King who is yet coming. Ultimately, our job is stewardship. Even more, like Gandalf, our task is stewardship of “anything … that can still grow fair or bear fruit and flower….” This includes stewardship of our world, our influence in that world, our fellow human beings, and of the planet that we now call home.